Many areas in the country’s Peloponnese region will soon have access to natural gas supply infrastructure as a result of the construction of a high-pressure gas pipeline by DESFA, the Natural Gas Transmission System Operator, developed primarily to serve a new gas-fueled PPC (Public Power Porporation) electricity station in the Megalopoli area, southwest Peloponnese. The wider area’s provincial cities of Corinth, Argos, Nafplio, Tripoli, Megalopoli, as well as locations lying in between, will all be able to connect to the new gas supply line running through the region. The pipeline project has been completed and its launch is on stand-by awaiting the green light from PPC to begin supplying gas. Initially, besides the PPC station in Megalopoli, small and large-scale industrial units located in the aforementioned areas will have access to the new gas pipeline. Strong demand is expected as natural gas is a lower-cost and cleaner alternative compared to diesel fuel options currently being used by industry as well as other enterprises, including greenhouses, in the wider area. Highlighting the anticipated interest, a number of new ventures have been planned in anticipation of the region’s new gas pipeline. The infrastructure project has been designed to facilitate a future extension into other parts of the Peloponnese, especially port-city Patras, Kalamata, Sparti, and Pyrgos. 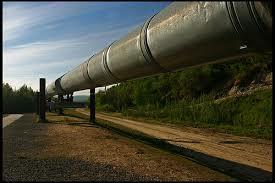 DESFA’s overall objective with this new gas pipeline is to cover the Peloponnese and western Greece regions. Gas supply availability for households in the area will require additional time as a gas supply company (EPA) serving the region must first be established, based on the models of the three EPA companies operating in the wider Athens area, northern city Thessaloniki, and Thessalia, in the mid-northeast. Research will first need to be conducted to assess whether expanding the pipeline’s reach for household use can stand as a feasible project. A low-cost, competitive pricing policy for household consumers will need to be taken into account. A 35-percent portion of the new gas pipeline was financed through the National Strategic Reference Framework (NSRF), an EU funding program, while the project’s remaining cost was covered by DESFA capital and borrowing. The European Investment Bank contributed with a 55-million euro loan for the project.